In recent years, the New York City government has developed a number of laws to promote healthy lifestyles among its citizens. Remember when we feared losing Big Gulps, forever? Now, the campaign for a healthier New York includes legislation to change the legal age for purchasing tobacco from 18 to 21. We spoke with Zoe Tobin, press secretary for the New York City Council, and according to her, "Most people who are not smokers by 21 years of age do not start smoking later in their lives. 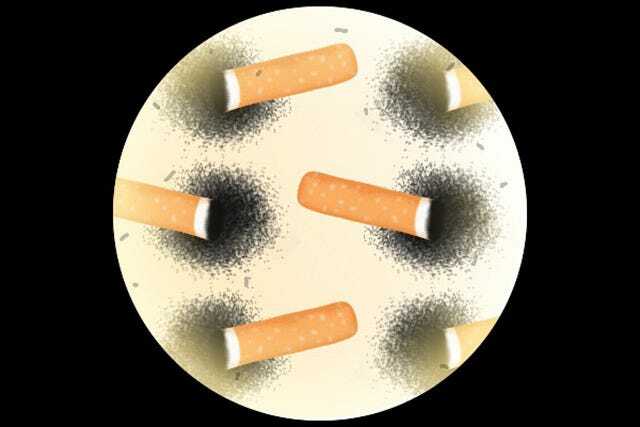 In New York City, 80% of adults who become daily smokers start smoking before reaching the age of 21." And, though tobacco use among young people has fallen from 17.6% to 8.5% in recent years, youth smoking rates have remained stuck at 8.5% since 2011. While there hasn't been an increase, the plateau effect concerns the Council, which is seeking to eradicate youth smoking entirely. This legislation would also include e-cigarettes, which the Council claims is a "growing concern." Citing data from the Centers for Disease Control and Prevention (CDC), the Council says "the percentage of middle and high school students in the United States who have used e-cigarettes more than doubled from 2011 to 2012." It seems worth noting, however, that e-cigarettes are allowed in many NYC restaurants and bars, while real cigarettes have been banned since 2003. Are similar laws banning e-cigarettes in such establishments to follow? So, what would be the consequence of violating this new law? For starters, any retailer violating the law would be looking at fines up to $1,000 for a first offense, $2,000 for the second. And, for those retailers who just won't abide, the Department of Consumer Affairs can seal the premises of a store up to 60 days after an owner is served with three violations in three years. The ban will go into effect 180 days after the mayor signs it into law — which shouldn't be a problem, since Mayor Bloomberg has already voiced his support. We have to wonder, though, why the battle against smoking comes now, and how it will be enforced? Though Bloomberg supports the legislation, will the next mayor (likely De Blasio) feel the same?